This figure includes Palestinians who were displaced within the West Bank, the Gaza Strip and East Jerusalem since the start of Israel’s occupation in 1967. The figure also includes Palestinians who are registered with the United Nations Relief and Work Agency for Palestinian Refugees (UNRWA), as long as these were displaced again after 1967. 72% of the total population of Gaza and 28% of that of the West Bank (PCBS, UNRWA April 2013) are registered with UNRWA. UNRWA refugee status relates to the displacement of Palestinians and their descendants from what became Israel in 1948, while the figure reflects displacement of Palestinians from their place of habitual residence in occupied Palestine. No organisation or mechanism systematically monitors the number of IDPs in Occupied Palestine. Because no cumulative and comprehensive statistics are available, IDMC’s estimate is based on secondary information and surveys that use different methodologies and only reflect ad hoc occurrences of displacement. This should not be understood as reflecting the full scale of displacement. Consequently, IDMC’s estimates aggregate information from different sources, mostly extrapolated from the yearly statistics on forced evictions and demolition of Palestinian houses and structures upon which their livelihood depends to remain in their original place. Approximately 105,000 people displaced in the Gaza strip as a result of the Israeli military operation “Protective Edge” launched on 7 July 2014. While an open-ended ceasefire entered into force on 26 August, the number of IDPs continues to fluctuate: As of 02 October approximately 54,510 IDPs remained in 18 UNRWA schools (UNRWA, 2 October 2014) and an estimated 50,000 IDPs were staying with host families (OCHA, 15 September 2014). Considering that over 100,000 IDPs have had their homes destroyed or severely damaged during the fighting (OCHA, 28 August 2014) and that the import of construction materials remains severely restricted, a large part of this displacement is expected to become protracted. At least 17,000 Palestinians who remained displaced in the Gaza Strip following the destruction of their homes during the Israeli military operation “Cast Lead” in December 2008 (Shelter Sector Gaza, Shelter Advocacy Fact Sheet No. 9, May 2014). Operation Cast Lead had displaced up to 120,000 individuals (Shelter Cluster team). At least 129,000 Palestinians who were displaced between 1967 and 2009 (prior to operation “Cast Lead”) as a result of the demolition of their homes and livelihood, according to the Palestinian NGO Badil (Badil, 2009). Badil uses figures collected by the Israeli Committee Against House Demolitions (ICAHD), which estimated that the Israeli authorities demolished more than 24,145 Palestinian structures in the Occupied Palestinian Territory between 1967 and 2009. This data was based on information collected from the Israeli Ministry of Interior, the Jerusalem Municipality, the Civil Administration, UN agencies, Palestinian, Israeli and international human rights groups, as well as ICAHD’s own field monitoring (ICAHD, 2009). These figures include destructions caused by the creation of a security zone south of Rafah in 2004 and 2005. 5,261 Palestinians were reportedly displaced between 2009 and August 2014 following evictions and demolitions in the West Bank and East Jerusalem (OCHA, September 2014). 6,692 Palestinians were reportedly displaced as a result of harassment by Jewish settlers in Hebron. At least 1,014 Palestinian housing units in the center of Hebron were vacated by their occupants in 2007. Considering that the average household in Hebron city is 6.6 persons , the number of people evicted amounts to 6,692 (B’Tselem, 2007). Displacement in Occupied Palestine is both protracted and ongoing, and results from policies and practices related to the military occupation by Israel and its recurrent hostilities with Palestinian armed groups that overwhelmingly affect civilians. Forced evictions and demolition of Palestinian homes are only two of the many triggers that lead to displacement, along with “incursions and military clearing operations, evictions and land appropriation, illegal expansion of settlements on occupied territory and related infrastructure, the illegal construction of the Wall in the West Bank, violence and harassment by settlers, the revocation of residency rights in East Jerusalem, and discriminatory denial of building permits” (HRC, 2009). Displacement results in many cases from the less visible and cumulative pressures that accompany the Israeli occupation, and that greatly reduce Palestinians’ access to services and resources, and limit their ability to maintain their traditional livelihood and remain in their areas of origin. Recent studies indicate that such displacement could be substantial and increasing. According to a recent unpublished survey conducted by OCHA in 2013, at least 70,000 Palestinians have been forcibly displaced within and into East Jerusalem between 2000 and 2012, citing as the main reasons for their move a policy or practice applied by the Israeli authorities in the context of the occupation (IDMC interview, OCHA, March 2014). Monitoring these movements, but also others linked to settler violence, restricted access to certain areas and livelihood opportunities, as well as the denial of building permits, would result in much higher IDP figures. 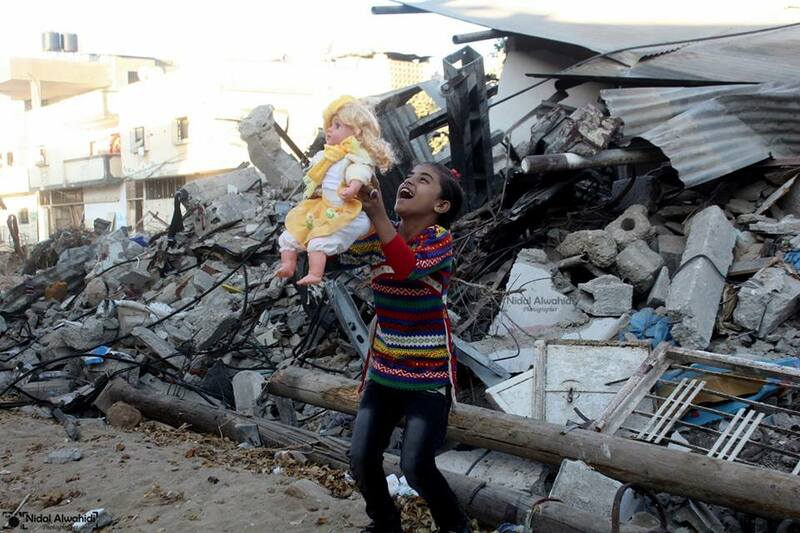 October 4, 2014 in Palestine. ← The Missing of Gaza ~ Civilians taken prisoner by IOF during Operation Protective Edge.